If we look back to the beginning of the Protestant Church, over 500 years ago, beyond its central theological and historical aspects, then we must consider the priceless cultural and artistic impulses which emanated from the Reformation. 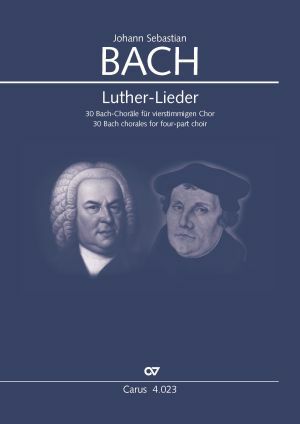 It is to this, among other things, to which we owe the musical wealth of the Protestant Church, with its rich treasure of sacred hymns, for which the great Reformer himself laid the cornerstone. 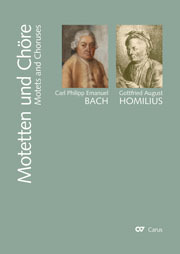 Of the 30 hymns which he contributed, most of them are still part of this treasure today. 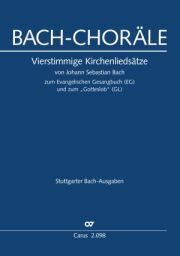 200 years after Luther, artistic preoccupation with the Protestant hymn reached its zenith in the music of Johann Sebastian Bach. 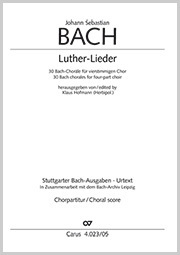 Extraordinarily artistic arrangements stand in contrast to simple, yet anything other than just rudimentary settings of four-part chorales for the congregation which even today touch and attract people more than anything else. 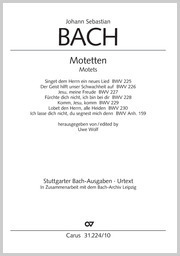 The present volume contains 30 such Bach chorales based on hymns by Martin Luther in the versions of the texts contained in the German Protestant Hymnbook.